Train Travel 101 - Is Train Travel Right For You? Train travel is becoming ever more popular. Amtrak, the US national passenger rail company, reports that ridership continues to grow each year. The UK's Office of Rail Regulation's statistics show similar increases in both passenger kilometers and numbers of passenger journeys. There is every reason to believe train travel will continue to attract more passengers as airfares climb, airport security lines grow longer and travelers consider alternate modes of transportation. Statistics aside, the question for vacationers is, "Should I travel by train instead of by air, bus or car?" The answer depends not only on your budget but also on your destination, desired comfort level and itinerary. As you plan your vacation, you will need to consider the pros and cons of train travel before you decide how you will get from place to place. Here are some factors to keep in mind. Train travel is fast and direct between major cities, especially in countries with high-speed rail systems. When you travel by train, you can truly relax. You are not navigating the autobahn or driving a manual transmission Fiat on the "wrong" side of the road, so you can watch the scenery go by, take a nap or read a book. Train travel is fun. Who doesn't feel a thrill at the sight and sound of a powerful locomotive pulling into the station? 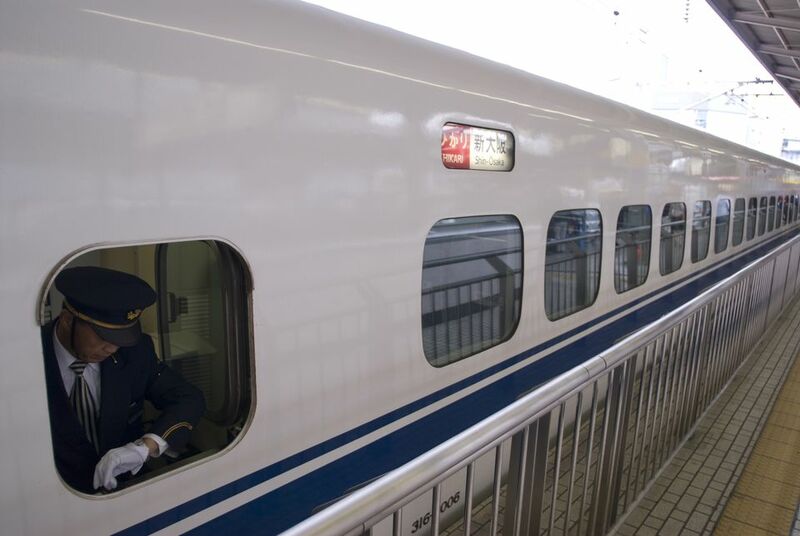 It is relatively easy to book a train trip. In many countries, you can book your tickets online instead of going to a train station to buy them. If you will be in the same region or country for an extended period of time, you can save money by buying rail passes. Many passenger rail companies offer a huge variety of rail passes, including weekend and family passes. Some rail companies also offer senior discounts on rail passes and regular tickets. For solo travelers or couples, traveling by train can be much less expensive than renting a car in another country, particularly when you factor in the cost of parking, fuel and tolls. You don't have to park your train. If you are visiting large cities during your trip, figuring out where to park affordably and safely can be a real hassle, not to mention an unnecessary expense. Traveling by train is an excellent way to meet locals and find out more about the places you are visiting. Train schedules may not match your preferred travel times and days, so you might have to adjust your itinerary. This is especially true for long-distance train travel in the US. Some large cities are not served directly by Amtrak trains, but by bus service from an Amtrak station in another city. You may have to endure a late-night layover in a sparsely-populated station in order to make a train connection. In many countries, you will need to reserve your seats – for a fee – and you will usually have to pay another supplemental fee to travel on a faster train. If you do not reserve a seat, you may end up standing for the duration of your journey. You may need to bring your own food and beverages onto the train. Conditions may be crowded, dirty or uncomfortable, particularly at peak travel times or in developing countries. The locals you meet may turn out to be diehard party animals or, worse, petty criminals. Be sure to wear a money belt to keep your valuables safe. In the end, you will need to do some research on train ticket prices, check schedules against your proposed itinerary and weigh the pros and cons of train travel against your personal preferences before deciding which mode of transportation is best for you.